Operationally it has been a fairly quiet last 12 months or so for the forecasting service. The interest in the events of winter 2015-16 still continues, however, particularly the floods resulting from Storm Frank at the very end of 2015. 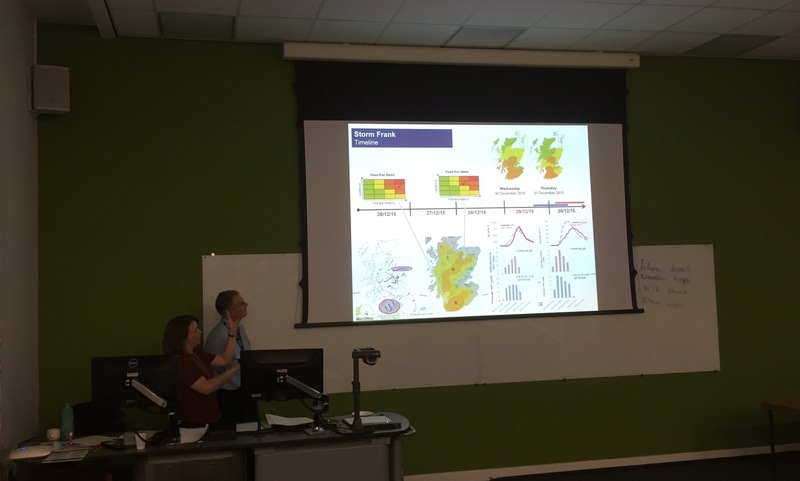 Recently members of the forecasting service presented aspects of our work surrounding this event, at two different events in Edinburgh. 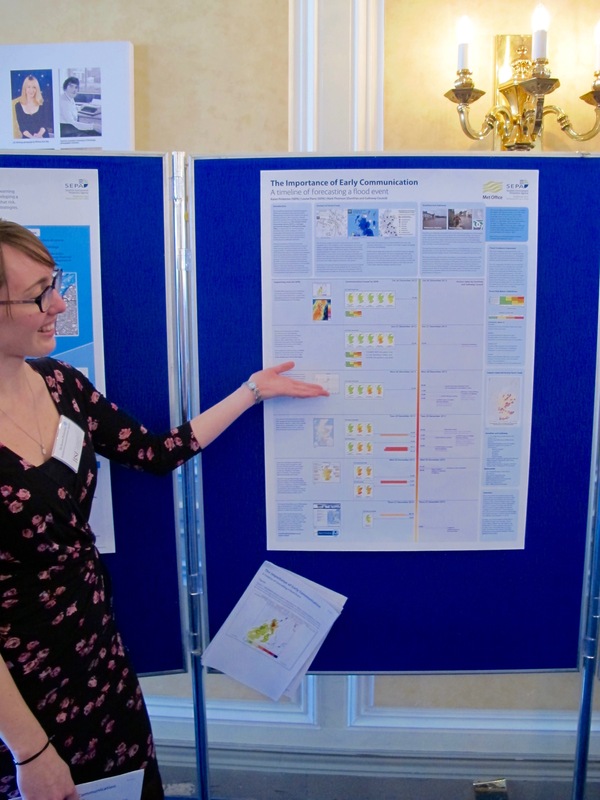 On 15th March Karen Pinkerton presented a poster at the Royal Society of Edinburgh conference ‘How can we learn to live with floods?’. The poster looked at our forecasts in the run up to the flood events, and how the flood guidance produced by the service influenced the emergency response, in particular in Dumfries and Galloway. It emphasised the importance of early communication. Then on 21st March, Louise Parry and John Mitchell gave a talk to the Royal Meteorological Society entitled ‘Forecasting Storm Frank’. This very much focussed on the science behind forecasting both the meteorology and the hydrology. Each presentation illustrated a different side of the critical work done by the service during flooding emergencies – both the science and the service, neither of which could be effective without the other. This entry was posted in Conference, Flood, Forecasting, Risk communication. Bookmark the permalink.